“An ocarina,” Cyclops says in exasperation like I should obviously know what this is. The first time I heard this term was at the Renaissance Faire. As we were walking down the aisles of shops, we passed by a booth where a lot of oddly shaped musical instruments were hanging, and this is where Cyclops mentions that maybe he should buy an ocarina. 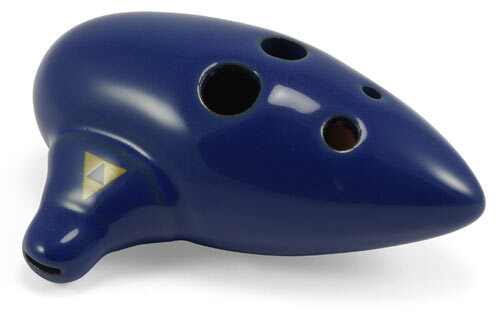 The ocarina is an ancient flute-like wind instrument. Variations do exist, but a typical ocarina is an enclosed space with four to twelve finger holes and a mouthpiece that projects from the body. It is often ceramic, but other materials may also be used, such as plastic, wood, glass, clay, and metal. The ocarina dates back 12,000 years or so but really became famous in the nerd world in 1998 when it was featured in the Nintendo 64 video game, The Legend of Zelda: Ocarina of Time. Check out someone playing the Zelda theme on an ocarina below. 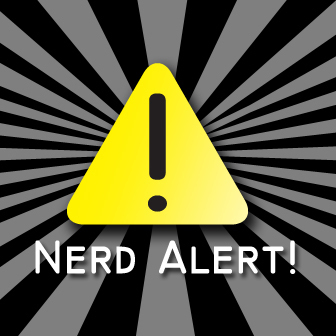 I’m a little afraid if Cyclops and I ever got married, my walk down the aisle would be performed by geeks on ocarinas.